Windows are the eyes of a structure — revealing secrets of those who dwell there. Or those who dwelt there. Windows might not reveal anything outright, they certainly fuel the imagination. It’s always been that way for me. Naturally, when I got into photography, windows became a tantalizing subject. While out shooting along Clear Fork of the Mohican River in February 2017, this window near Gatton Rocks caught my eye. Two years ago, I was staying with friends at Shaw’s Hotel in Lancaster, Ohio. I got up early in the morning, grabbed my camera and headed out into the street. Very few people were stirring, yet these two ambitious souls were hard at work. I once interviewed a woman who went to this one-room schoolhouse in Green Township, Ashland County, Ohio. When taking this shot in November 2016, I thought about her and all the other schoolchildren who surely looked longingly out that window — especially on nice spring days. One of my happy places, Shuswap on Lake Nipissing in Ontario, Canada. The main boathouse has been remodeled, but I always loved this old one. Taken in August 2016. While out on my morning rounds, looking for things to shoot, I came across this old cabin in, I believe, Knox County, Ohio. April 2017. In October 2016, I visited the Loudonville (Ohio) Street Fair early in the morning. That’s the best time to go to fairs as far as I’m concerned. I came across this little sourpuss in an upstairs window on Main Street. I’ve gone by this Holmes County farmhouse many times and always been intrigued. One morning in August 2016 I stopped to take a photo. I love the faded look — consistent with the mood here. 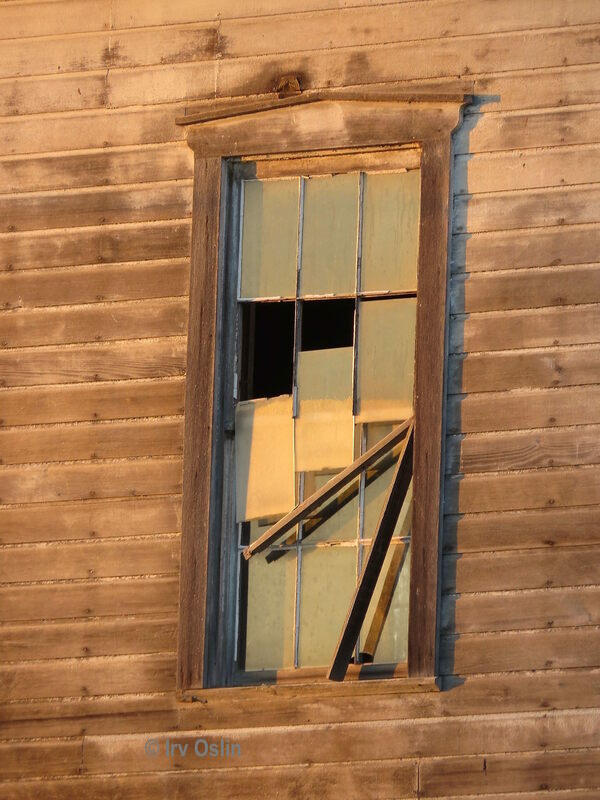 This Perrysville, Ohio, window speaks volumes — of a town that’s seen better days. On a positive note, good things are happening there and things are looking up. July 2017. I’m not particularly keen on digitally manipulated photos, but this one called for it. Butler, Ohio, October 2015. Facades. Downtown Mansfield, Ohio, October 2012. Making my morning rounds in Holmes County, August 2016, found the stone foundation of a barn along a remote township road. June 2011, Church window in Ashland, Ohio. Taken while I was working as a reporter for the Ashland Times-Gazette. My caption? Yum! Shot last year through a cracked window of a restored one-room schoolhouse. Mohican Wilderness, Glenmont, Ohio. High-resolution prints of these — and all my photos — are available through my photo blog and Facebook page.